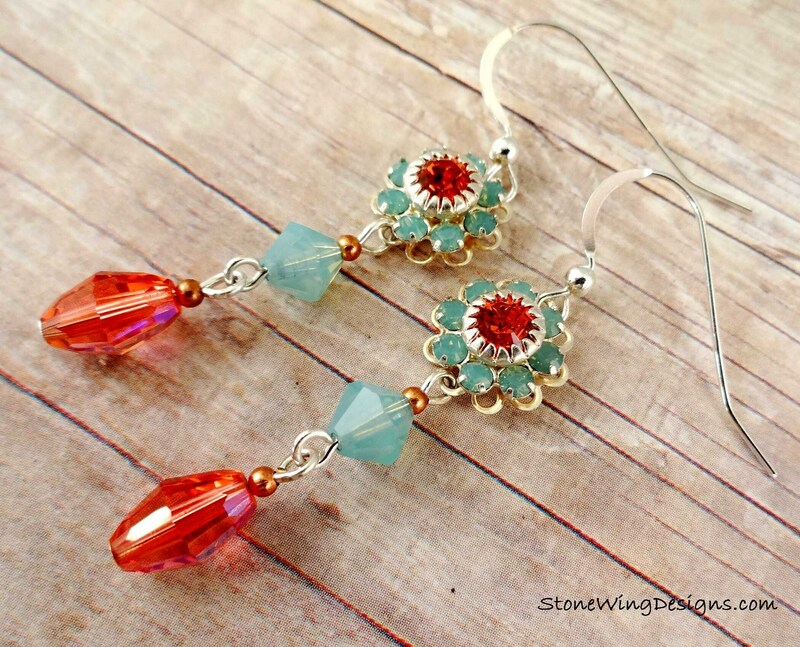 You'll feel like a princess when you wear these earrings! 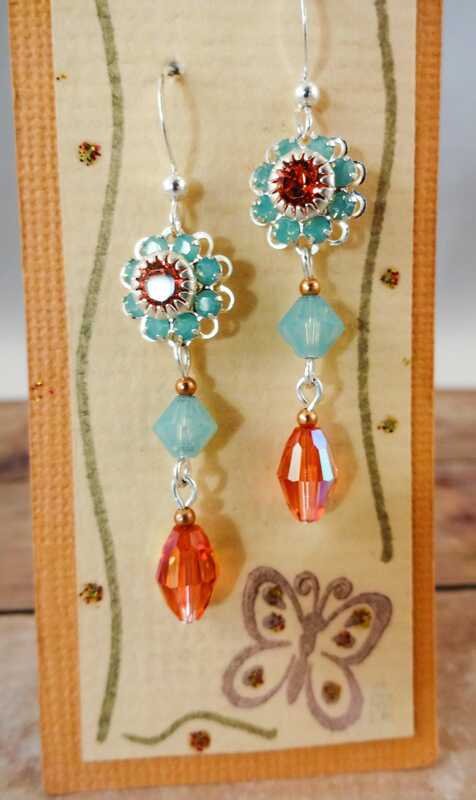 These earrings are one of a kind; the Swarovski crystal flowers have a padparadscha crystal center and pacific opal petals in a silver setting. 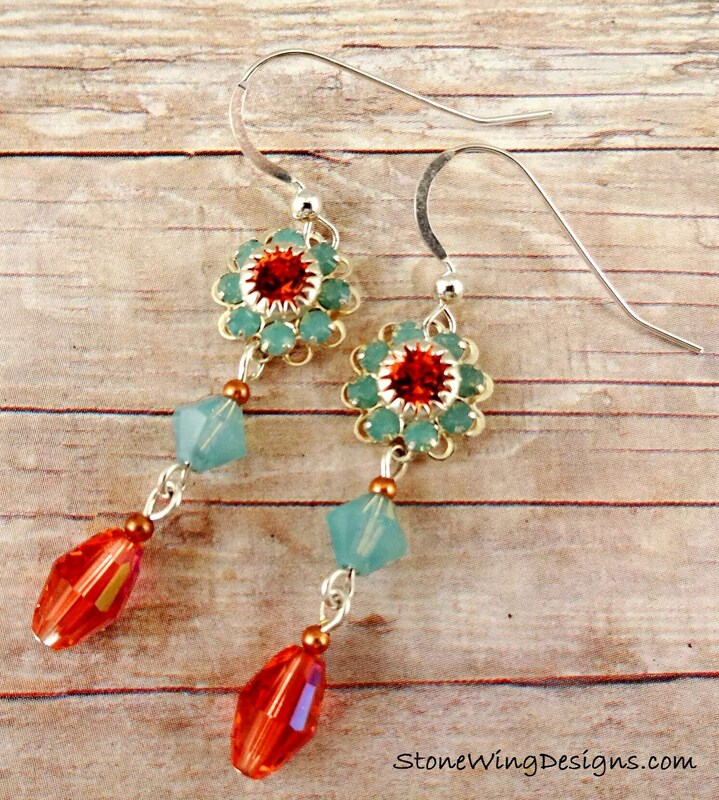 A Swarovski Pacific Opal 6mm bicone and Padparadscha oval dangle from the flower adding length and glamor to create a one of a kind pair of earrings.